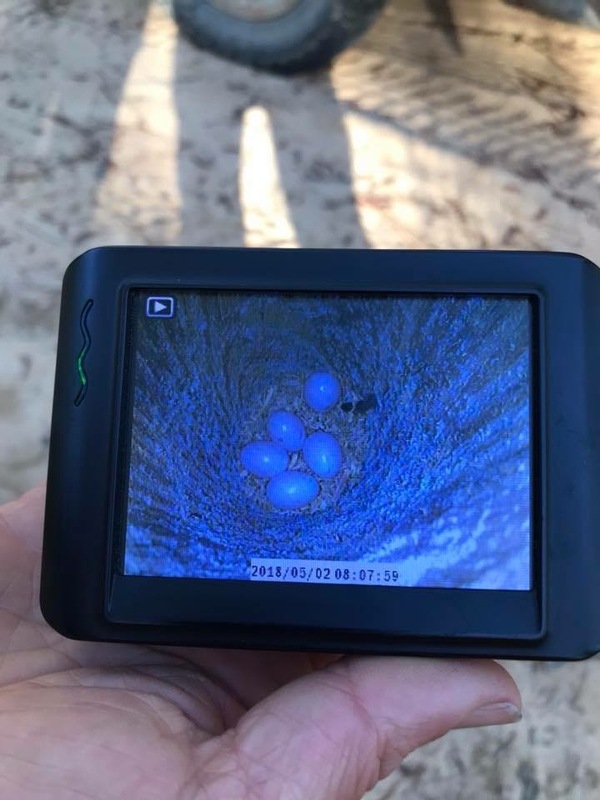 These red-cockaded woodpecker nestlings were banded around 7-10 days after hatching. Biologists at Fort Jackson climbed the tree, pulled them out, brought them to the ground, banded them, and then returned them to the cavity. For the last eight years, First Presbyterian Church of Beaufort – a two-hour drive from Columbia – has hosted A Nativity Celebration, featuring 100-plus unique and artistic natvity scenes hand-made in various spots around the world. Perusing the creches during the three-day event, from December 7-9, is like taking a visual global tour. Each is distinct and many convey aspects of a country’s culture. The nativities are shared by local residents and church members as well as provided on loan from others outside the community. Each stands alone as an aesthetic vignette narrative of the birth of Christ. Styles range from whimiscal snow globes to eleborate porcelain sets. Some natvities make repeat appearances each year, while others are new. Some are so small they fit in a matchbox, while others sprawl across an entire table. Most are traditional table displays; a few hang. They might be constructed of bent nails, recycled metals, or even local oyster shells. There are German Hummel figurines as well as sets from Vietnam, Phillipines, Cameroon, and many other countries. The three-day event draws school children, assisted living and nursing home residents, tourists, locals, and more. The goal, explains Donna, is to show the true meaning of Christmas through the eyes of the world. A Nativity Celebration is located in First Presbyterian Church of Beautfort, 1201 North Street, and is a “gift” to the public – free of charge. Egyptian art in Columbia? Those who have lived or worked in the Mill District of Columbia, where cotton mills Olympia, Whaley, and Granby once thrived, are familiar with the large depiction of Ra, the Egyptian sun god, painted on the remains of an old railroad trestle. While some park-goers may have – at first glance – wondered how an Egyptian artifact found a home in Columbia, closer inspection revealed the fading remains of a 20th century painting. Until recently. After construction workers demolished an old railroad trestle in the Olympia neighborhood in 1989, a large portion refused to crumble. South Carolina artist and muralist, Richard Lane, decided the weathered sandstone pillar appeared ancient, so he envisioned and then painted an Egyptian scene complete with various symbols and hieroglyphs in 1993. The piece became known locally as the Ra Obelisk. In 2004, the structure actually became the centerpiece of what is considered a “pocket park” at 904 Heyward Street; benches were added as well as a sidewalk leading to the painting. On October 16th, 800 are expected to attend an evening out hosted by Lexington Medical Center. As a way of honoring women who have survived breast cancer, as well as families and friends who have supported them, “Women’s Night Out” will take place at the Columbia Metropolitan Convention Center in downtown Columbia. 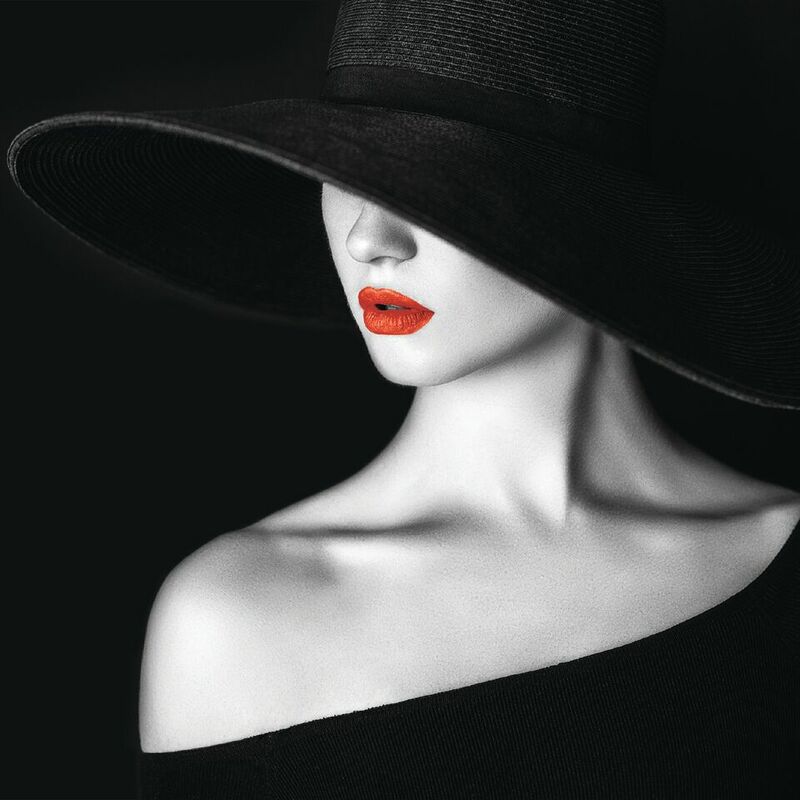 The schedule for “Women’s Night Out” includes: at 5 p.m., a silent auction and physician exhibit; the program begins at 7 p.m. with a fashion show featuring breast cancer survivors, dinner, and the keynote address. Proceeds from “Women’s Night Out” will benefit the Crystal Smith Breast Cancer Fund to support the “Campaign for Clarity,” a capital campaign designed to expand 3-D mammography throughout the Lexington Medical Center network of care. Annually, Lexington Medical Center diagnoses more than 300 breast cancer patients. For more information about “Women’s Night Out,” call (803) 936-8850, or visit http://www.lexmed.com/wno. Individual tickets are $40, but there are also opportunities to sponsor a table. Have you seen the buses around town painted retro blue with pink accents? This is Columbia’s novel transit system aimed at moving from tired to trendy with regard to public in-city transportation. Whether visiting the capital city for the first time, getting a feel for the area’s main roads and routes, commuting to work or school, or enjoying time at one of the many restaurants, shops, or sites, The Comet – also known as Soda Cap Connector – offers a comfortable and enjoyable ride. The nickname, Soda Cap Connector, comes from the play on “cola town” as the shortened name for Columbia. And then there is the Soda City market, which has become a hub of activity every Saturday on Main Street. Included in The Comet’s logo design is a star that represents the stars on the South Carolina State House capitol building. Throughout town are large soda cap shaped signs, painted the same retro blue as The Comet buses, that tout the Soda Cap Connector logo; these signs indicate transit stops, and underneath is listed information about where the bus is scheduled to stop next. Besides clean, comfortable, air-conditioned or heated (depending on weather), and graphically appealing, The Comet offers users real-time bus locators through its app, which can be downloaded on a smartphone or tablet. Users also have access to free WiFi, and there is space for bikes. Plus, catchthecomet.org has easy-to-understand information on how to read the schedule and find the best route. The Comet stops at such points of interest as the South Carolina State Museum, the University of South Carolina, the Columbia Museum of Art, Five Points, area universities, and more. An entire route takes about 20 minutes, with stops every few minutes. Passengers can pick up colorful maps that include routes and times. Prices are from $1.50 for a one-time regular fare to $3.00 to ride all day. A 31-day pass is $40.00. Half-priced passes are available to those who qualify; criteria includes disabilities, veterans, seniors over 65, and those on Medicare. (Anyone interested in a half pass must make an appointment at the Lowell C. Spires Jr. Regional Transit Authority at 3613 Lucius Road.) And, children 15 years old and younger ride The Comet for free. To pay a fare, either have exact change when entering The Comet or purchases passes at the customer service desk of the North Main Piggly Wiggly grocery store. Other options include buying tickets at the Transit Center on the corner of Sumter and Laurel Street or on the Catch the COMET smartphone app. “Seen & Unseen” and much more on April 21st! Believe it or not, the Columbia Museum of Art opened in Columbia in 1950 and moved into its current modern architecture building in 1998. The museum currently has more than 20,000 square feet of gallery space, as well as a collection that numbers more than 7,000 objects. The building has work spaces, storage for collections, art studios, a 154-seat auditorium, a museum shop, and reception and event spaces. The Gala is the CMA’s largest annual fundraiser; this year the focus is on its major spring exhibit, titled “Seen & Unseen: Photographs by Imogen Cunningham.” Curated by the CMA’s Chief Curator Will South, the exhibition spotlights the photographer’s deeply poetic work, taken in the early 1900s. Guests to the Gala will be treated not only to exhibits, but also a menu of food prepared by Southern Way, a specialty cocktail, and a Lexus bubbly bar. Plus, there will be entertainment: jazz by Station Seven Band, dance music by Snow DJ Kevin Snow, and contemporary ballet by USC Dance Company. Main sponsors of the event, held to raise critical funds necessary to continue the CMA’s ongoing efforts, are: Jim Hudson Lexus, BlueCross BlueShield of South Carolina, and Joyce and George Hill. “We can’t wait to open the doors April 21st and welcome everyone to the best party in town,” say Julie and Steven. Doors open at 7 p.m. There is complimentary valet parking. For tickets and information, visit http://www.columbiamuseum.org/gala. A parade of pink will pass through the streets of Columbia this Saturday, October 14. 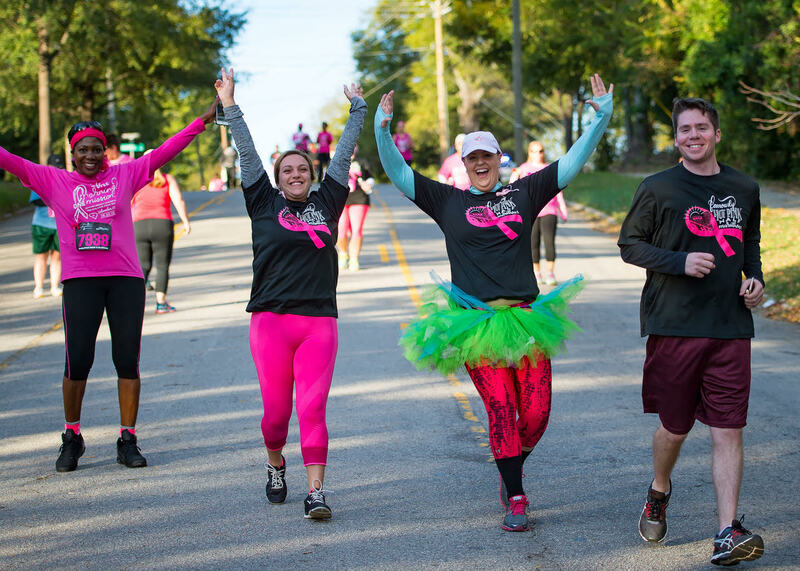 In fact, thousands of walkers and runners are anticipated for the 27th Walk for Life and Famously Hot Pink Half Marathon, 10K, and 5K that begins and ends at Spirit Communications Park. The color pink first came to symbolize breast cancer survivors in the early 1990s when pink ribbons were given out in New York City during a Race for the Cure. Now people automatically think pink whenever there is a mention of a breast cancer associated event. October is Breast Cancer Awareness Month, and even First Lady Melania Trump showed support by having the White House lit up with a pink hue the first Sunday of this month. Online registration will be open until noon TOMORROW, Oct. 11th. After that time, paper registrations for walkers will be accepted at the Expo on Oct. 13 at Spirit Communications Park. Paper race registrations will be accepted by Strictly Running at the Expo on Oct. 13, 7 a.m.-1:30 p.m., at Spirit Communications Park. Race registrations will not be accepted on Oct. 14. Registrants can pick up their t-shirts, bibs, and chips during curbside pick-up Thursday, Oct. 12, 4-6 p.m. at Spirit Communications Park, at the Expo Friday, Oct. 13, 7 a.m.-1:30 p.m. at Spirit Communications Park, or on the day of the event, Saturday, Oct. 14, beginning at 6:15 a.m. Registration includes a cotton T-shirt for walkers and a performance shirt for runners. However, breast cancer survivors will receive a commemorative pink bandana. Walk for Life late registration 6:30 a.m.
Famously Hot Pink Half Marathon start 7:15 a.m.
10K race start 7:30 a.m.
5K race start 7:40 a.m. Walk for Life start 7:45 a.m.
5K medal ceremony 9 a.m.
10K medal ceremony 9:30 a.m.
Half marathon medal ceremony 10 a.m. According to the U.S. Breast Cancer Statistics, 1 in 8 women will develop breast cancer in their lifetime. A man’s risk is about 1 in 1,000. Proceeds from these signature fundraising events, led by Palmetto Health Foundation, benefit Palmetto Health Breast Center in Columbia, S.C. Proceeds will stay in the community to help purchase a seventh 3D mammography unit at Palmetto Health Breast Center. The new 3D unit will be used for screening and diagnostic mammograms and will improve the early detection of breast cancer. Visit WalkForLifeColumbia.org for information on parking, the Expo, and event day.